French naval forces have captured 19 Somali pirates after they foiled two more attempted attacks in the Gulf of Aden. A statement from French President"s Nicolas Sarkozy office said that three days after the French Navy thwarted an attack on Panama-flagged vessel, ?decisive action? by the warship Jean de Vienne stopped two attacks against Croatian and Panama merchant ships on January 4. The warship intercepted and captured 19 Somali piartes who had weapons, ammunition and equipment for boarding ships. France plans to hand over the 19 pirates to the Somali authorities. President Sarkozy welcomed what he described as ?the first tangible success? the fight against piracy and called for greater international mobilisation to eradicate the scourge of piracy from the Gulf of Aden and Somali waters. French forces have already handed over eight pirates it detained on January 1 to the government of the autonomous region of Puntland (northeast Somalia), as they take a tough line on piracy. The two latest attacks foiled by the French Navy are the latest in a spree of by Somali pirates since the New Year. The International Maritime Bureau"s Piracy Reporting Centre in Kuala Lumpur has received reports of six attacks so far this year, not apparently including the pair of attacks the French Navy said it had foiled. 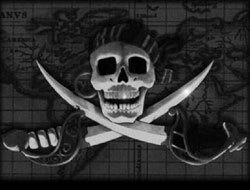 ?Now they (coalition naval forces) are capturing the pirates and handing them over to the authorities this a firm deterrent,? Noel Choong, head of the piracy reporting centre told. The latest attempted attack reported to the IMB was on January 4 was on a British-owned, Panama-flagged bulker headed from Asia ? Europe. The vessel was attacked by seven pirates armed with machine guns, but they gave up the chase when a military helicopter arrived on the scene. With an increased military presence from a variety of nations in the Gulf of Aden, and tougher action, Mr Choong said that the pirates are finding it harder to hijack vessels and as a result are making many more attempted attacks. ?It"s a sign the pirates are getting desperate. The increase in naval activity has made it harder for them to attack ships,? he said. ?They didn"t manage to hijack that many ships in December.? He noted that in all attacks now the pirates were indiscriminately firing on any ship they could get close to. The number of successful hijackings has also been reduced greater evasive and preventative action being taken by ship"s Masters. However Mr Choong also warned that ?there was no way? naval forces could patrol the entire area.